Open: April - October... At the family-run Kassandra Palace, we're renowned for offering our guests first-class, friendly hospitality. We've been doing it for well over 35 years. We also understand that everyone has their own ideas about what makes a great holiday. Open: April to October... 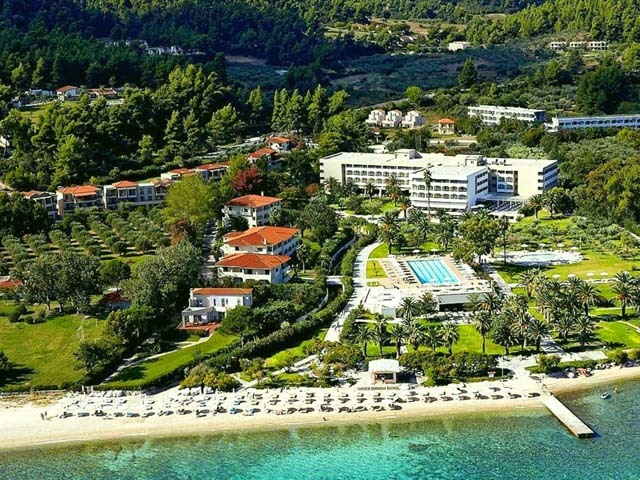 The famous Hotel Kriopigi located in Kassandra peninsula at Halkidiki Greece. Is a holiday resort situated near the village of Kriopigi. Open: April - October... On one of the Mediterranean's most beautiful coasts, resting on a gentle pine covered hill that reaches down to an endless white sandy beach, the 4 star Alexander the Great Beach Hotel welcomes you. 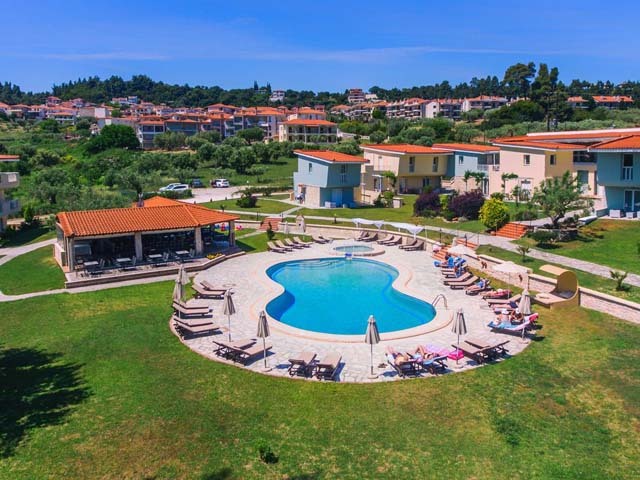 Open:May to October...The Alkion Hotel is situated within 15 acres of land full of green trees and a colourful, well maintained garden with a wonderful view to the sea. 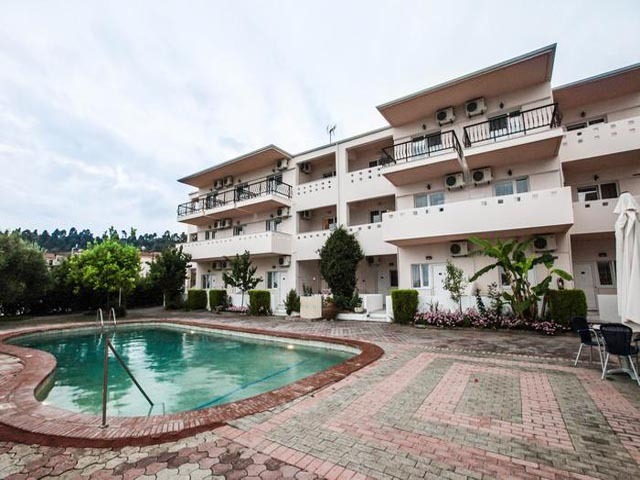 The complex has 50 studios and 9 suites (2 with a Jacuzzi). Open : May to September ... 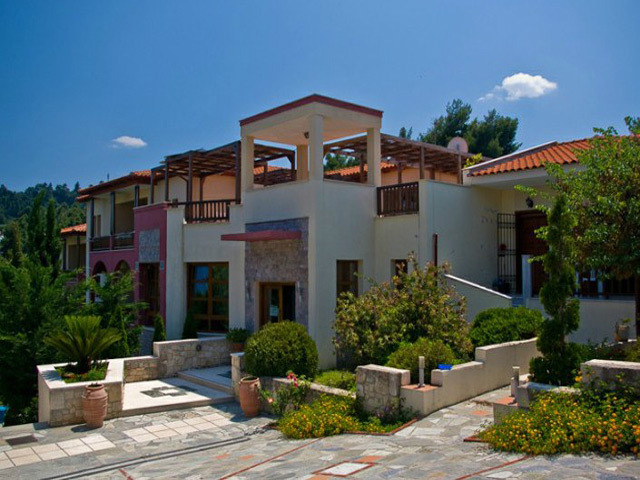 Located on Kassandra peninsula, 800m from Kriopigi village resort, Ideal for quiet budget holidays. Open: May - October ... Palladium hotel in Halkidiki is located on the Kassandra peninsula which constantly attracts Greek and foreign visitors.It is 90 kilometres away from Thessaloniki and only 3 kilometres away from the metropolitan resort of Kallithea which provides numerous appealing choices for your entertainment.This wonderful hotel in Kassandra is just 600 meters away from the exquisite sandy beaches, awarded for their crystal blue water.The breathtaking combination of the sea breeze and the scent of the pine trees create an atmosphere of complete relaxation and calmness. 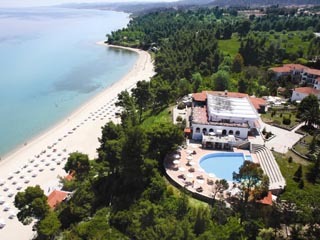 Hotel Palladium welcomes you and hopes you have a wonderful holiday in Halkidiki. Open:May to September...Villa George is located in Halkidiki,between the pine forrest of Kassandra and Kriopigi seashore. Open May to October... This small Hotel is located in Kriopigi Village just 800 m from popular Kriopigi Beach the sparkling blue bay with the Blue Flag.